MLC Cancer Foundation hasn't added a story. Patricia Via is an nine year breast cancer survivor and her platform via MLC Cancer Foundation is to assist others who receive a cancer diagnosis and to touch as many lives as possible. "My mother, father and many other relatives have been diagnosed with cancer and unfortunately many have lost their cancer battle," says Patricia. 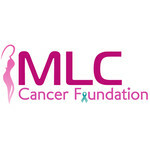 MLC Cancer Foundation is hosting our 9th annual fundraising event, Breast Cancer Wellness & Symposium & Fundraiser, on October 20, 2018 at the New College Institute in Martinsville, VA.
MLC Cancer Foundation, is a non-profit, tax exempt organization, that offers resources for financial assistance to cancer patients to cover expenses incurred due to the diagnosis. In addition to financial support, the foundation educates all on preventative options and also genetic testing benefits for the entire family. The foundation will also offer personal and moral support for the patient and family. MLC Cancer Foundation hasn't posted any updates yet. MLC Cancer Foundation is managing the funds for this campaign.